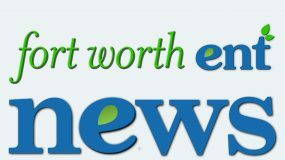 The physicians at Fort Worth ENT & Sinus offer fast and painless allergy testing for patients 4 years old and above. Allergic diseases frequently require the recognition of particular allergic triggers for treatment. We test for up to 50 different allergens, including indoor and outdoor allergens such as dust mites, pet hair and dander, grass and weed pollens, and molds. Patients who meet certain criteria may also be strong candidates for allergy treatment. We also perform testing for food allergies through blood panel analysis rather than skin testing. 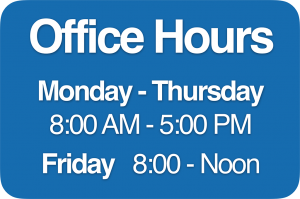 Fort Worth ENT & Sinus provides in-office allergy skin testing and treatment for adults and children, in order to help suffering patients successfully deal with North Texas’ peak allergy season, as well as year round allergies. Skin (prick) testing is the most dependable and oldest way to test for allergies. During a patient’s initial visit, his or her medical history will be reviewed and the patient will be advised to temporarily stop any medications that could potentially interfere with the allergy test. In order to obtain the most accurate test results, certain medications (such as over-the-counter or prescription antihistamines) should be stopped 7 days prior to the test. To prepare for skin testing, the physician will ask the patient a set of comprehensive questions related to his or her medical history and any family history of allergies. The physician may perform an initial physical examination as well to look for any supplemental clues about the source of the patient’s signs and symptoms. Skin (prick) testing is painless and involves separately applying a small amount of different allergens to the skin with an applicator that does not actually break the skin but rather, ‘scratches’ the surface. The results (physical response) of the skin testing are determined just 15-20 minutes following the application of the test. A positive test for an allergen appears as any irritation to the skin, usually an erythematous, raised and itchy bump on the surface of the skin. Any irritation due to positive reactions (commonly an itchy bump similar to a mosquito bite) most often resolves in about an hour. This reactive skin test will help our specialists determine exactly what a patient is and is not allergic to, and to what degree the body reacts to an allergen. 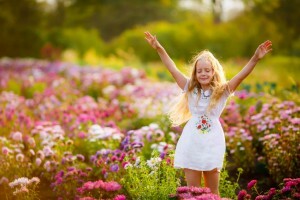 After reviewing the results, we will determine what specific allergies a patient has and how they can best be treated. Through this systematic approach, we can personalize a treatment plan best suited to an individual’s specific needs. Intradermal skin testing (ID)—This test is performed through injecting a small amount of an allergen directly into the skin, which enables the technician to evaluate a broad scope of extract strengths. With ID, we can determine a patient’s exact sensitivity to a specific extract. Patch testing—Patch testing is used typically to confirm a particular substance is causing an allergic skin irritation (contact dermatitis). These tests can identify delayed allergic reactions, which may take multiple days to develop. Patch testing does not require needles. Alternatively, allergens are spread on patches, which are then applied to the skin. For a patch test, the patient may be exposed to 20-30 extracts of substances that can induce an allergic skin irritation (contact dermatitis). The patient wears the patches on his or her back or on an arm for 48 hours, during which time bathing and any activities that lead to copious sweating should be avoided. After this time, the patient will return to the physician’s office to have the patches taken off. Any skin irritation at a patch site may suggest an allergy to that particular allergen. Specific Immunoglubilin-E testing (sIgE)—This method of testing involves In Vetro diagnostics, which means a sample (skin cells) is extracted from the patient and all testing is performed in a lab, rather than on the patient’s skin. The specificity of this form of testing is significantly higher than other testing methods. Nasal Provocation testing—This test is a very generic way of examining human allergic responses. In order to evoke an allergic response, high amounts of specific extracts are sprayed into the patient’s nose, and he or she is then observed for any physiological symptoms or changes. Typically, this method is used for research purposes. Other than nasal provocation, all of the allergy testing methods described above only specify if a patient is responsive to an allergen. After testing is complete, the physician will use the diagnostic test results in convergence with any past reports on allergy history to establish what the patient is truly allergic to. Although a large amount of allergy symptoms can be effectively treated with medications, at Fort Worth ENT & Sinus, our goal is to treat the allergy itself. Essentially, by eliminating the allergy, we can eliminate the need for the medications to treat the symptoms associated with the allergy. Because allergies vary in symptoms and severity, we offer customized allergen immunotherapy treatment that targets an individual patient’s specific allergies and needs. Allergen immunotherapy is a form of treatment that aims to decrease a patient’s sensitivity to allergens by introducing them to the body in small doses, with the dosage slowly increasing over a period of several months. The degree to which a patient is alleviated from their allergies differs for every individual, but most patients experience significant relief within 6 months of beginning immunotherapy. The majority of insurance plans cover allergy testing and immunotherapy, but we will confirm a patient’s coverage before performing the initial allergy testing. 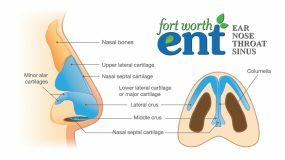 At Fort Worth ENT & Sinus, we offer 2 forms of allergy immunotherapy: allergy shots and allergy drops. Allergy shots are a form of treatment commonly administered by injections at our clinic. We also offer a home-based treatment plan, which will ideally lead to a substantial subsiding of symptoms and an eliminated need for allergy medications. Our at-home injection immunotherapy program allows patients to administer some of their injections in the comfort of their own home. Our allergy technician will administer the first injections, and then teach the patient or parent how to give the injections themselves. Eventually, the injections performed at home by the patient, and only intermittent visits to the clinic are needed for monitoring. The at-home program has been very well studied and found to be safe with no consequential adverse events. Allergy drops have been used safely for many years, and have been endorsed by the World Health Organizations (WHO) as an alternative to allergy shots. Allergic Asthma: 45-88% of patients who suffer from asthma have an allergic-based phenotype. This type of asthma is most common in male children, and is distinguished through skin prick testing. A positive skin prick test combined with an exacerbation of asthmatic symptoms will denote allergic asthma, which, if treated by immunotherapy early in life, can be essentially prevented in later years. Allergic Rhinitis: This is also known as ‘hay fever’ and is characterized by an allergic inflammation of the nasal passages. Common Cold and Flu Vs Allergies: Differentiating between a cold, flu, and allergies may be difficult at first, because all three have several common symptoms linked to each. Sneezing, a runny nose, and a stuffy nose are associated with all three, but there are also a few key differences, including the onset of symptoms. The flu and allergies both present with a sudden onset of symptoms, but unlike with allergies, a patient will likely experience fever, body aches, and fatigue with the flu. The onset of a cold takes more time, with symptoms like sneezing, a runny nose, and congestion appearing one at a time and progressively becoming worse. Allergy symptoms tend to appear all at once as soon as the person is exposed to the allergen. Short Term Allergy Relief: For short-term relief of allergy symptoms, a patient may be advised to take a short-acting (Benadryl) or a long-acting (Claritin) antihistamine. It is also recommended to completely avoid the allergen if possible. Long-term relief from allergy symptoms will most likely include a form of immunotherapy treatment. Food Allergies: Patients may be allergic to foods as well, and some food allergies may develop later in life without warning or any previous symptoms. Testing for food allergies is performed though blood panel testing. Molds: Mold allergy symptoms usually include coughing, wheezing, runny or stuffy nose, watery eyes, itchiness, rash, and hives. These symptoms are also consistent with many other types of allergies as well. Grasses: 95% of the main allergic grasses are part of just three separate subfamilies, although there are more than 10,000 types of grasses worldwide. Systemic Reactions: This is any physical reaction to an allergen in an area of the body that is not directly associated with an injection (related to allergy testing). Local Reactions: This is any physical adverse reaction that is localized and limited to an area between adjacent joints. This type of reaction does not display indications of spreading to other bodily systems.